Tea Shops are sprouting like mushrooms these days in the UK. Tea is cool and trendy. It can be a little bit overwhelming at times – shop after shop pops out with hundreds of glass jars showing off the colourful leaves. How would you know if one is any good before buying? 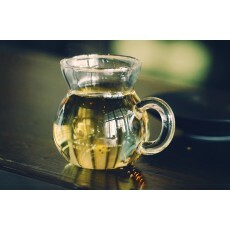 Tea is a very delicate product and must be kept away from light, high temperatures, strong aromas and humidity. Seeing leaves exposed in large glass jars is generally not a good sign as the leaves are being constantly affected by light and possibly frequent temperature changes. 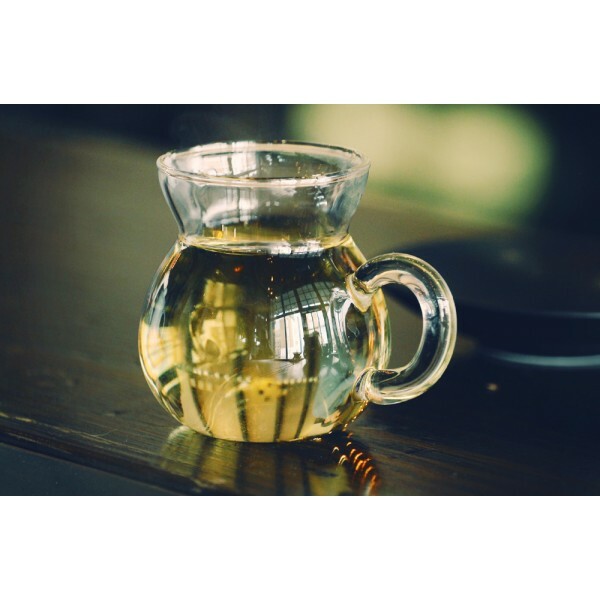 If you had a portion of fresh green tea leaves and you would store one half in an air-tight container away from light and the other half in a glass jar on your kitchen counter you would be able to see and taste obvious differences in no time. The tea that is exposed to light would oxidise and show darker colour than the one kept in dark, much of the delicate flavour notes and aroma would be gone. If you see large ceramic jars with a handful of leaves sadly sitting at the bottom, it is also not a good sign. I’ve seen good quality tea leaves being stored this way in many shops, the jar being opened and closed many times a day to present the leaves to customers, often the lid just resting on top of the jar, not even an air-tight seal. Particularly with expensive teas that are not purchased frequently you would need to assume that the rotation of the leaves is not that regular and although protected from light, the leaves are constantly being exposed to oxygen freely circulating around. Even if it was an excellent tea at start its quality has been compromised by improper handling in the shop before you even get to make your purchase. Tea is packed in transparent pouches or pouches with “windows” again, same thing – light exposure. Plus, the transparent film does not ensure a proper barrier between the leaves and the environment, so the leaves are more likely to get affected by temperature, strong smells and humidity. Hundreds of aromatised teas and a handful of natural, unflavoured teas is generally not a good sign. Blending and aromatising does not require a good quality tea to begin with. In fact, a producer who takes care to produce premium quality tea would take great pride in their product and not sell it to a company that’s about to add vanilla or cherry flavour to it. The tea just tastes good on its own. There are no problems to fix and hide with aromatizers. And, lastly, if you see tea and coffee stored next to each other that is another warning sign. Tea is incredibly sensitive to strong aromas and the intense smell of coffee would have affected it in the shop. Choose a supplier that stores tea properly in double lined non-transparent pouches with all excess air squeezed out from the pack, sealed and kept in reasonably low temperature and away from strong aromas, light and heat. If leaves are presented in glass jars or bowls ensure that you are given leaves that were stored properly and not directly from the display. Choose a supplier who stocks a smaller number of teas and doesn’t waste space with many aromatized varieties of the same base blend. Choose a supplier who gets the teas directly from where they are grown instead of a large middleman. Unfortunately, majority of the new UK tea shops seem to stock the same quality mass produced teas brought to Europe by large German and Austrian wholesalers. Choose a smaller supplier, but one who actually cares. 0 Comments To "Finding a good Tea Shop"